John Young was born in 1788 in Scotland. 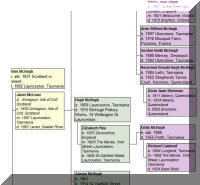 John married Margaret Thomson on 19 Feb 1817 at Inverness-shire, Scotland. 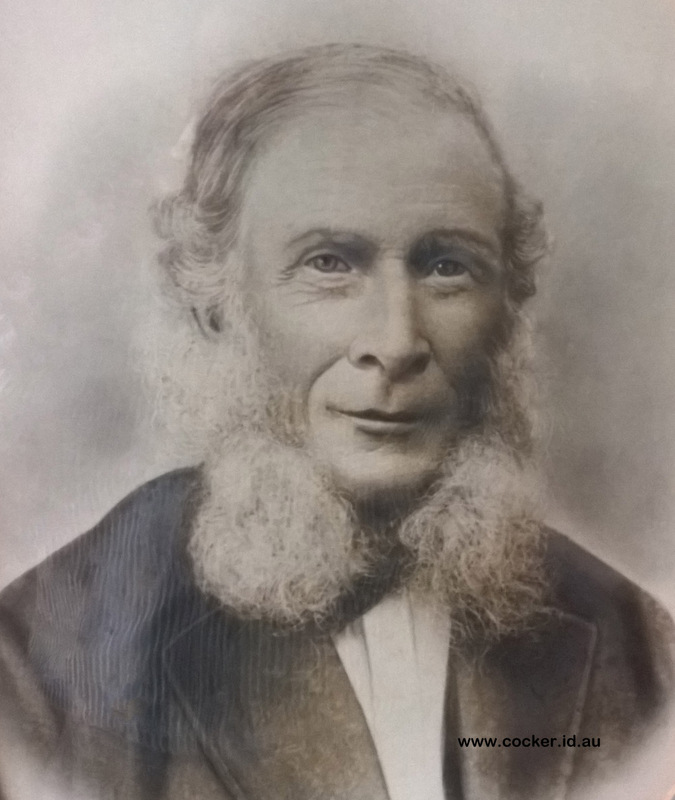 They had a son: William Swanston. 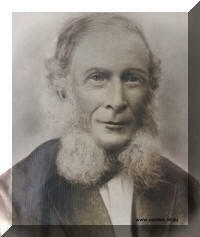 William Swanston Young was born on 22 Apr 1825 in Coldingham, Berwickshire Scotland. Thomas Fair married Elspeth. They had five children. 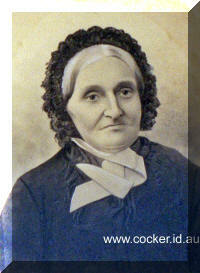 The third was a daughter, Sarah who born in Oxnam, Roxborough Scotland on 30 Mar 1786. She was christened on 28 Apr 1786. 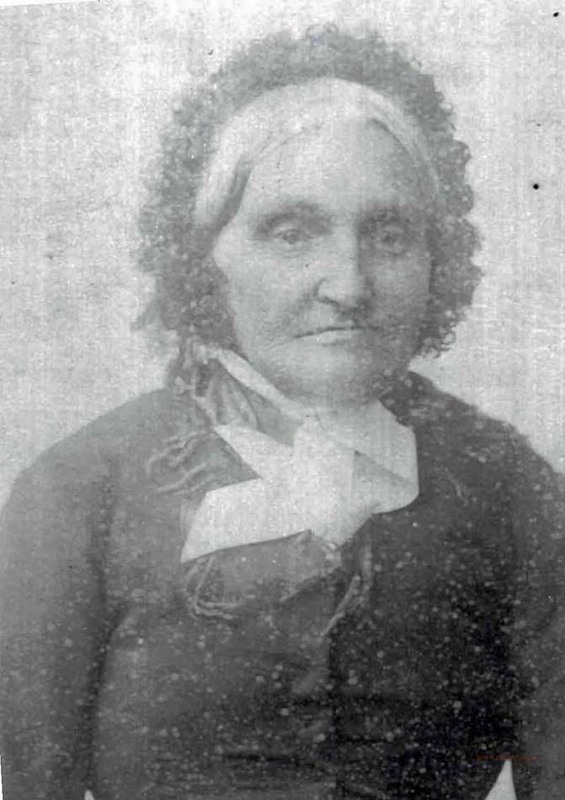 She married Andrew Oliver who was born in England on 11 May 1784 at Ellingham, Northumberland, England and died in Berwickshire, Scotland. Andrew and Sarah had ten children. The ninth child was a daughter, Sarah who was born on 10 Apr 1826 in Oldhamstocks, East Lothian, Scotland. She was christened there on 10 May 1826. William Swanston Young married Sarah Oliver on 11 Nov 1852 in Lamberton Toll Berwick Scotland. Sarah & William arrived in Tasmania in 1860, as free immigrants with three children on The Indiana. 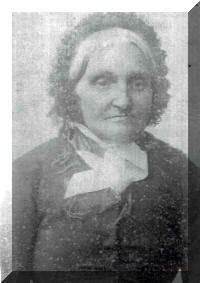 Sarah's older brother, William, had previously arrived in Tasmania with his wife Isabella and four children in 1855. A very sudden death took place on Monday morning on the Bank of Australasia premises, an old man named William Swanston Young passing peacefully away whilst at work. He had been for years past employed by the bank manager (Mr Ede) to attend to his horse, and was engaged in the stable work as usual about 8.30 am being then cheerful and as well as usual. Shortly after 9 o'clock Mr Ede -was called out to see deceased, who was apparently dead, in the stable. When seized the old man, who was close on 80 years old, had a shovel in his hand and had evidently died without a struggle. Dr. Gollan was at once sent for, but deceased was beyond all earthly troubles, the cause of death being ascribed to senility and heart failure. He was an old resident of the district, and leaves one son and two daughters. An old resident of Ulverstone named William Swanston Young, residing in Victoria street, died suddenly yesterday morning. He was engaged as usual at the stables attached to the Bank of Australasia, and appeared to be in his ordinary state of health when spoken to at 8.30, but about 20 minutes later one of the clerks, on taking his bicycle into the stable, found the old man quite dead, still grasping the shovel which he had been using when death laid its band upon him. Deceased was a native of Scotland, and had reached the ripe old age of 79. He was a colonist of 30 years' standing, 12 of which he had spent in Ulverstone. He was much respected for his honesty and integrity. It is not considered necessary that an inquiry should be held, as deceased has been under medical treatment for some time for a heart affection. He leaves one son and three daughters.